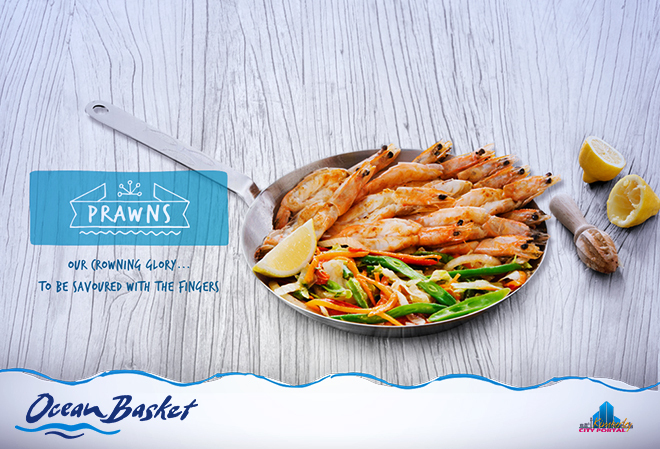 Ocean Basket Kimberley, every seafood lover’s first choice in dining. 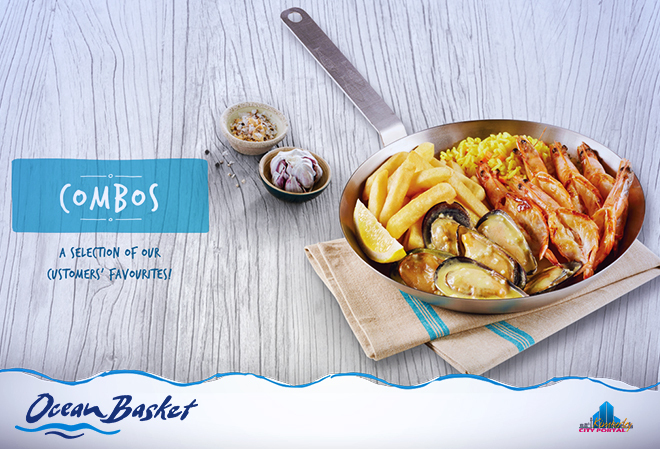 Fresh cuisine, friendly staff and a homely atmosphere, these are all trademarks of Ocean Basket Kimberley. Serving only the freshest seafood. 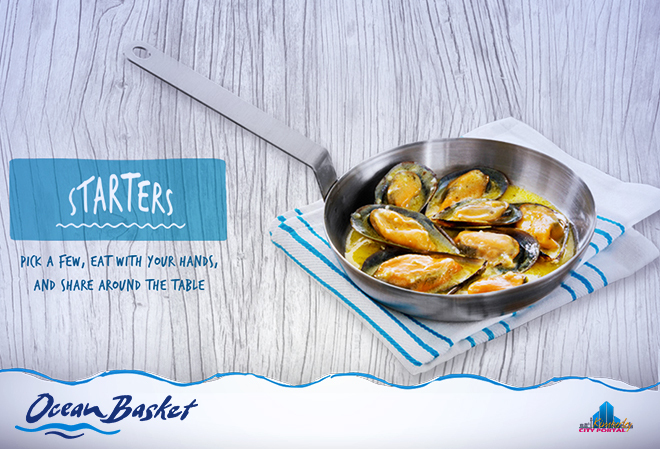 Mussels in lemon and garlic sauce, Famous Feesh and Chips, Calamari and a vast variety of sushi; these are all mouth-watering dishes you will find on their menu. From something romantic like oysters to platters, we will get your taste buds warmed up. 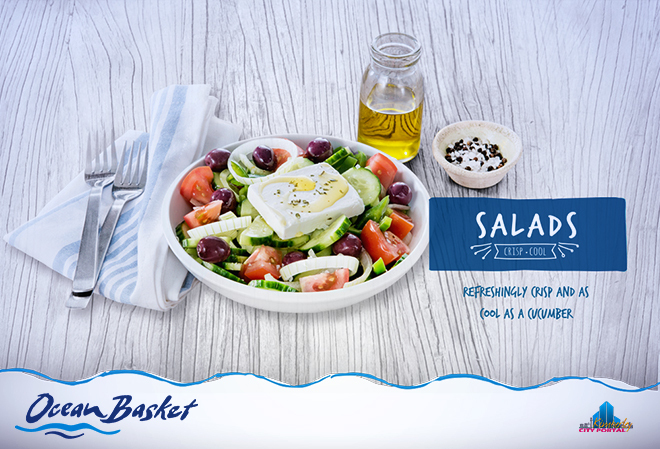 Our Salads are made with only the very freshest of ingredients. 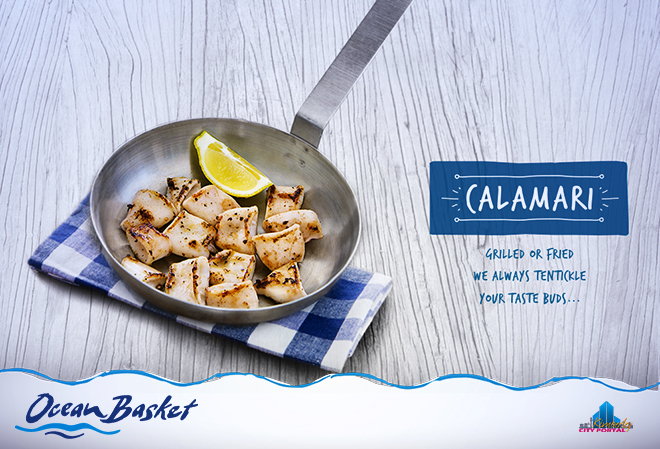 A variety of fish, Tuna, Hake, Kingklip & so much more with a choice of lightly fried or grilled. Only the very best will do, grilled, fried or cajun-style. to be savoured with the fingers. Available in Prince, King & Queen. Can’t choose only one dish? Why not have something of everything? A selection of our customers’ favourites all on one plate. We even have something delicious for the little ones. 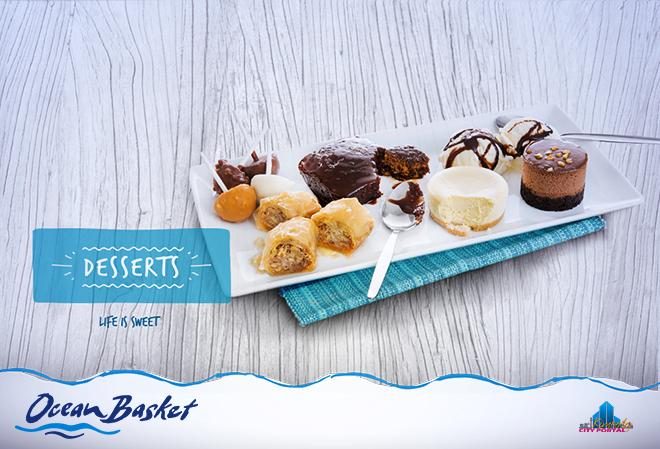 Why not indulge a little with our delicious range of desserts? We have a full Sushi menu for those who dare.. Delicious maki, sashimi, hand rolls and so much more to choose from! 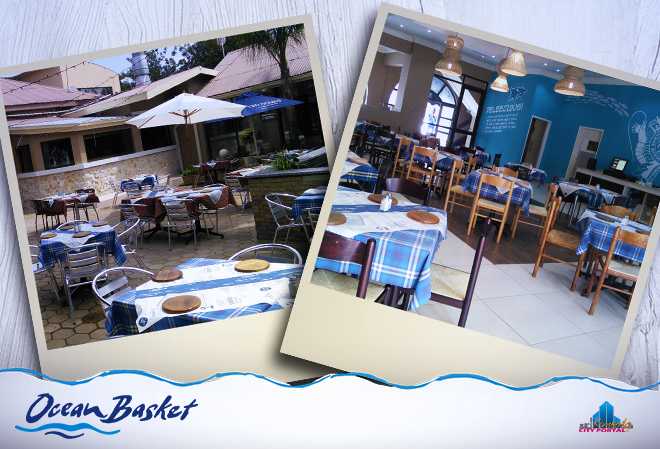 Ocean Basket is known for their warm and friendly atmosphere, with a Mediterranean theme. 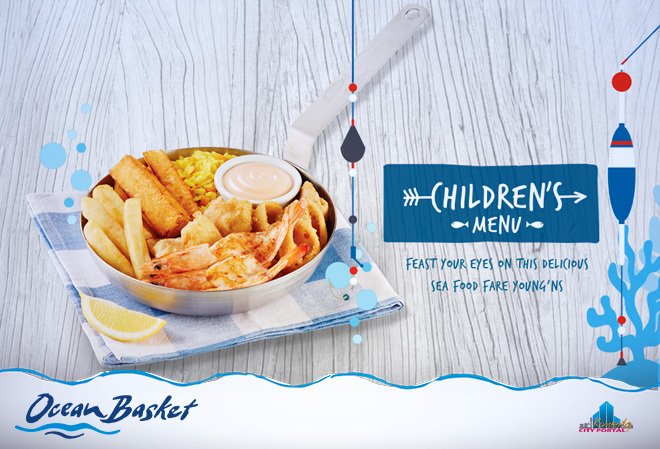 At Ocean Basket you can enjoy a meal fit for a king, but at a reasonable price. 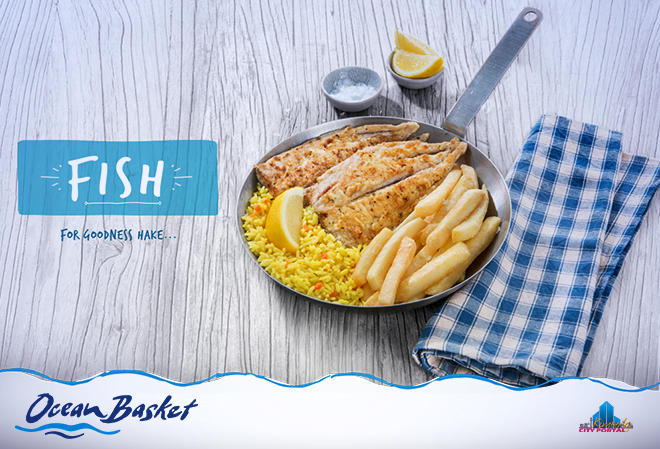 Whether you’re planning a romantic night out, or you’re just taking the family out, Ocean Basket Kimberley is the place to go. Ocean Basket Kimberley has recently moved to new premises and is now situated at The Half Way House. Part of the restaurant is indoor and part outdoor. The restaurant also has a smokers section. So whether you would like to dine under the stars or prefer the cozy atmosphere inside. 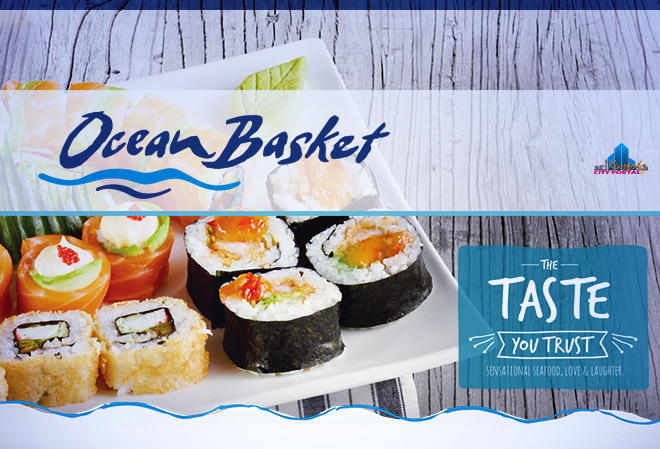 Ocean Basket Kimberley will satisfy your needs. When the first Ocean Basket restaurant opened its doors in 1995, South Africa had just held its first democratic elections. The air was charged with optimism and apprehension. And now, the delicious smell of seafood too. Fats Lazarides, saw an opportunity to create something that customers were calling a restaurant that served delicious affordable seafood. In those days the store included a fresh fish deli. Seafood restaurants were reserved for the upper crust, and a portion of prawns was a real extravagance. But Fats had always been one to swim against the current. Today there are over 189 stores in 11 countries around the globe. 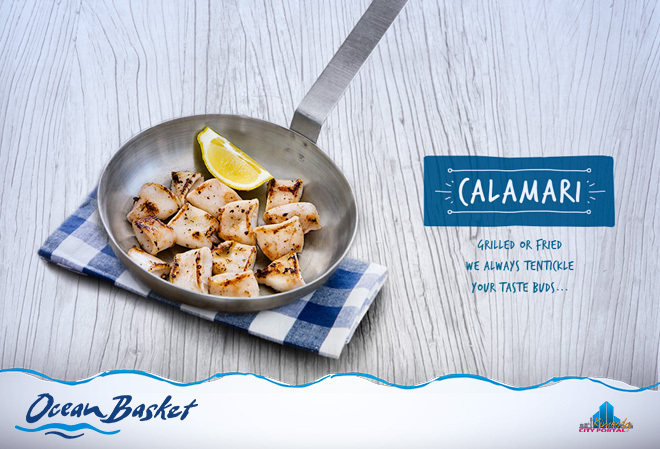 From Dubai to Durban, Nelspruit to Nigeria, you’ll find people who share a love for our delicious seafood, the irresistible creamy lemon sauce, our generosity, commitment to every day value for money and our love of seafood sharing. Best ocean basket eaten in a long,long time.?????? Food is tasty,fresh.abundant.prawns succulent.takes as back to when ocean basket started.best food ever.eaten in numerous ocean baskets in Durban,gauteng &Cape Town.this is tops ????? Experienced any problems , in fact we were there today and all I can say to the manager and his staff is a big thumbs up guys your service was great & the food fantastic. Will definitely recommend ocean basket Kimberley. My wife and I have been going there for about a year now, they take a while to make the food but the service was and is always excellent and friendly and we never had any problems when ordering take aways. Keep up the good work guys. 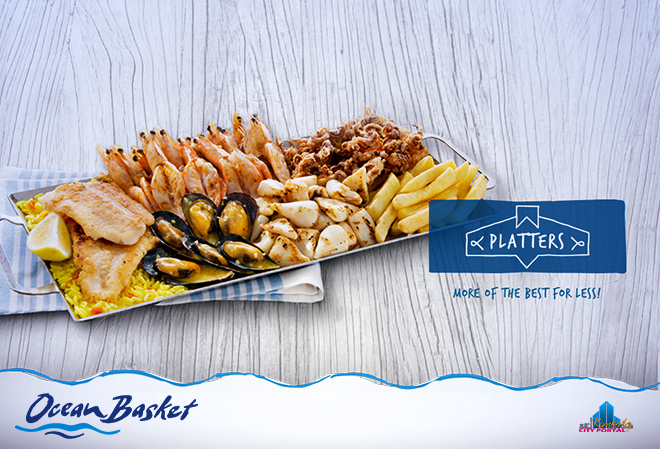 This is not entirely how we experience the ocean basket in kimberley. Me and my wife have been going there for five years,they are always busy and sometimes you need to book a table if u want to dine there. We have taken friends from all over south africa to this ocean basket and they all comented that this ocean basket is one of the best they have ever eaten at and they will defenetely dine there again. Our favourite place to dine in kimberley. Thanks guys keep up the good work and great quality.